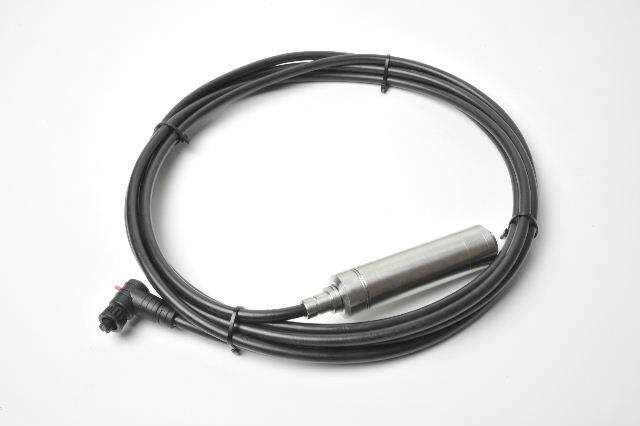 Your # 1 Source for remote fuel-level indicators and accessories! 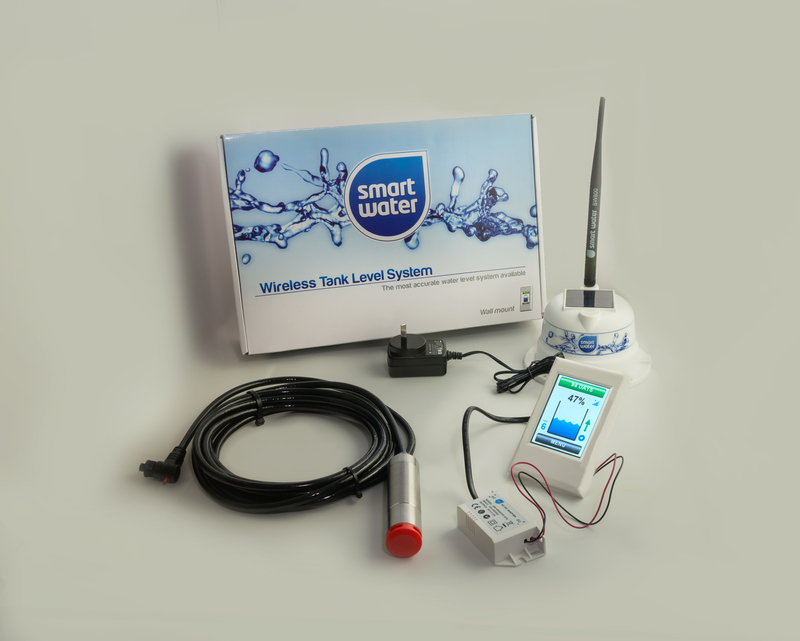 The Fuel Minder Store introduces the new Smart Water™ Wireless Water Level Monitoring System. 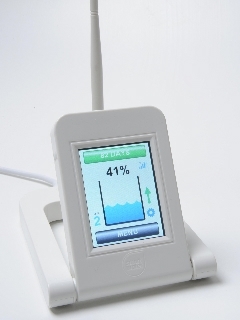 It's a complete, simple solution for continuous monitoring and management of water and other fluid levels. 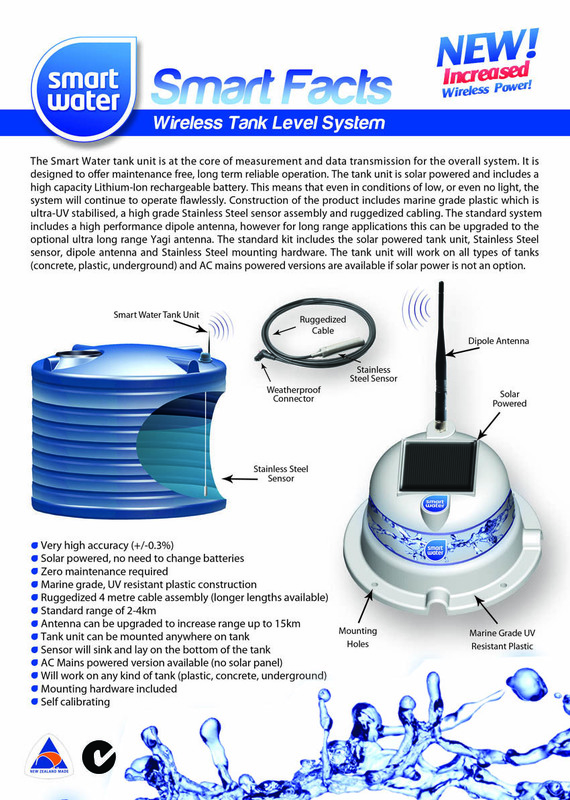 The Smart Water™ Wireless Water Tank Level Gauge measures the water or fluid level in tanks up to 10.5 feet deep and up to 2.5 miles away (farther with options). Super easy installation and operation. Tank opening size required is 1 1/4"
Not finding what you need? We can put together a custom system for you. Please CONTACT US for more information. 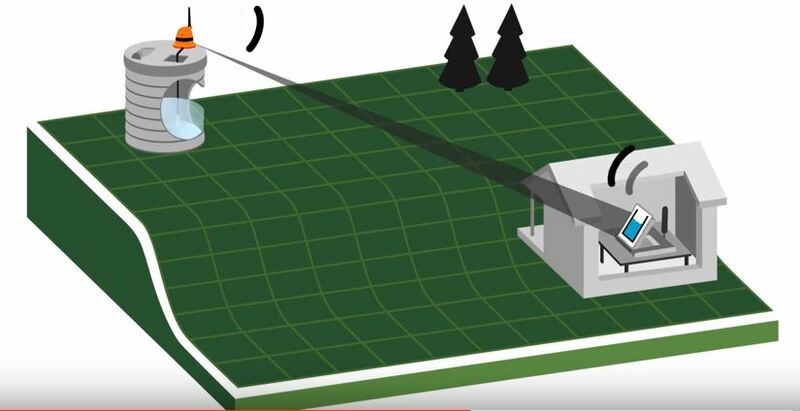 Complete system for monitoring tanks and cisterns remotely and wirelessly! “Time to Empty” indication based on your actual water usage. 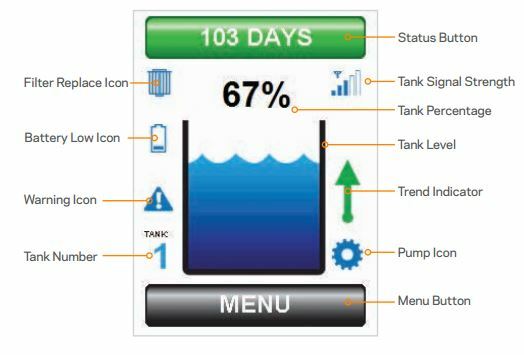 Just like a trip computer in your car, the system will tell you how long you have until your tank water supply will run out! 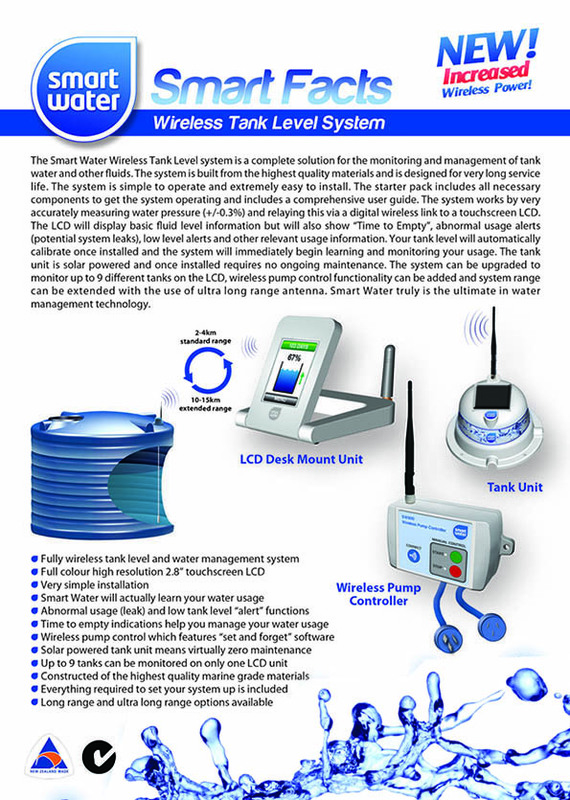 Everything you need to install a Smart Water desk mount tank level system in one convenient box. 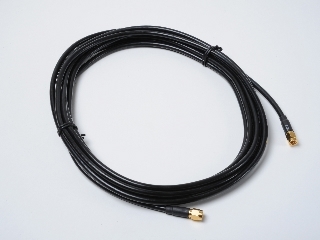 The kit includes a desk mount LCD, one wireless tank unit, standard antenna, one 4 m stainless steel sensor, mounting accessories and a comprehensive user guide. This kit is designed for users with ONE tank (up to 8 additional tank units can be added later). Same system as above, but has a WALL MOUNT Display. 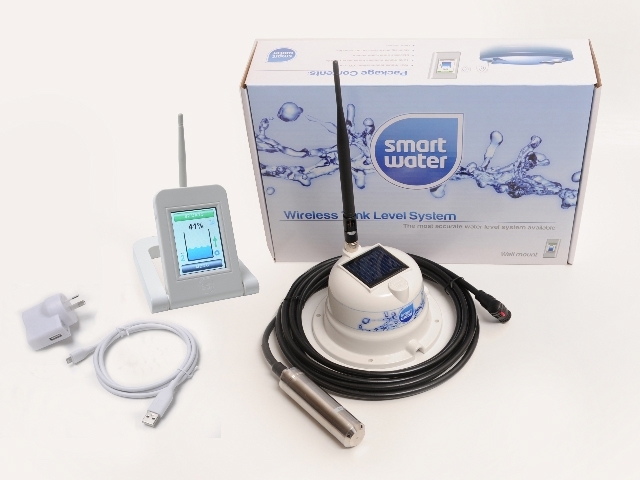 Everything you need to install a Smart Water wall mount tank level system in one convenient box. 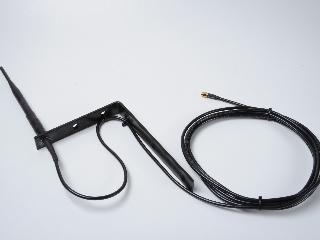 The kit includes a wall mount LCD, one wireless tank unit, standard antenna, one 4 m stainless steel sensor, mounting accessories and a comprehensive user guide. This kit is designed for users with ONE tank (up to 8 additional tank units can be added later). 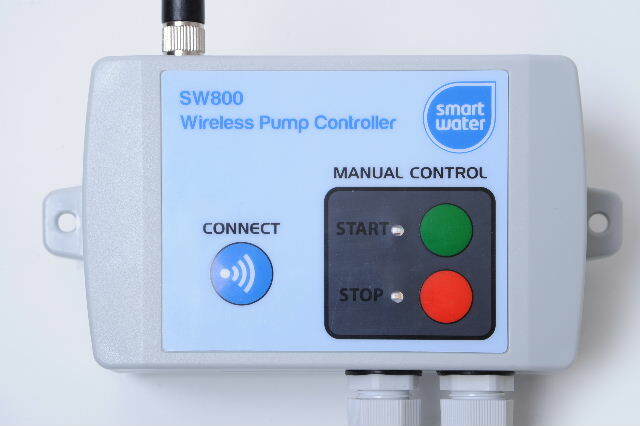 The Smart Water SW800 12VDC Wireless Pump Controller will provide full automatic "set and forget" management for your pump. 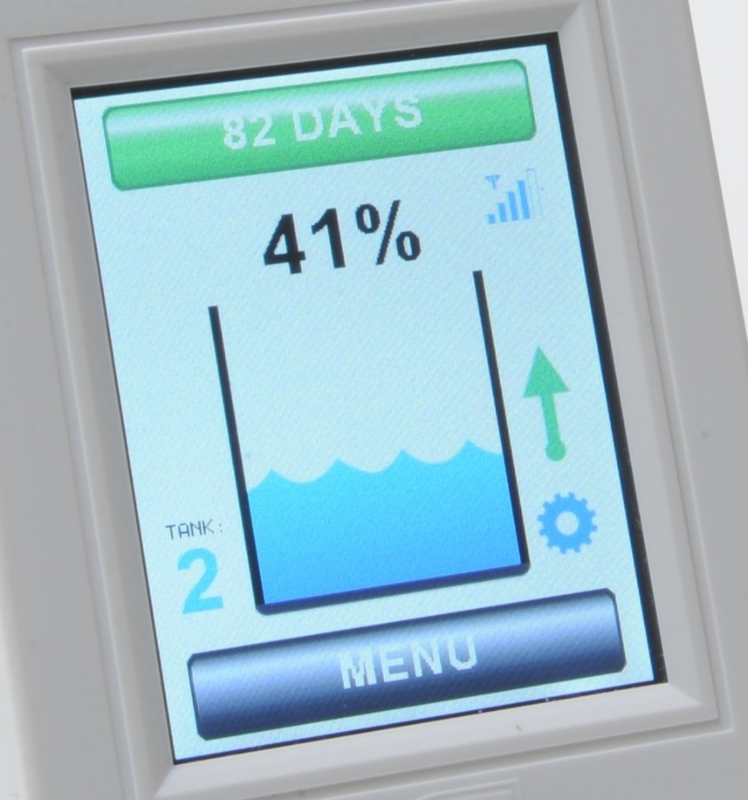 You can set the unit to turn your pump on and off at customised tank levels. Water can be pumped between tanks or from bore/stream water sources. 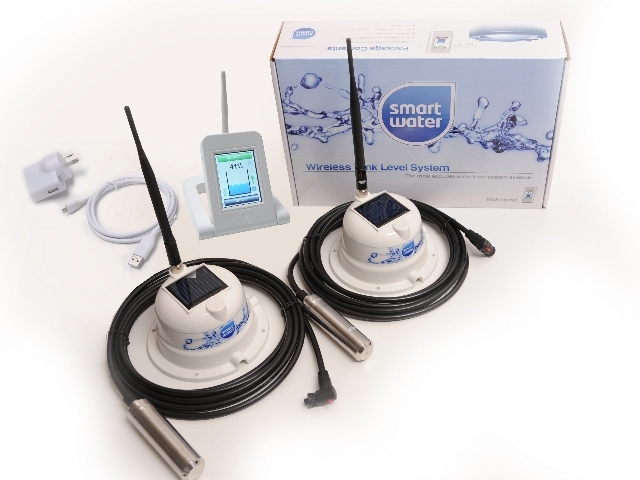 Auto stop feature, loss of comms shutoff feature, automatic timer function all combine to make a high quality and very useful addition to your Smart Water system. The pump controller can be fully controlled from your existing LCD keypad. 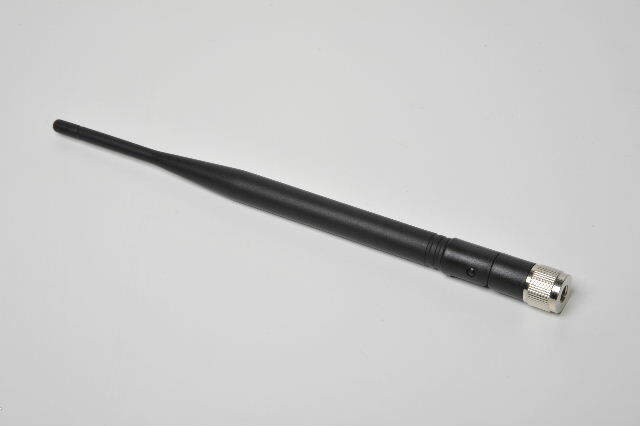 Please note that this version is designed for 12VDC applications only. 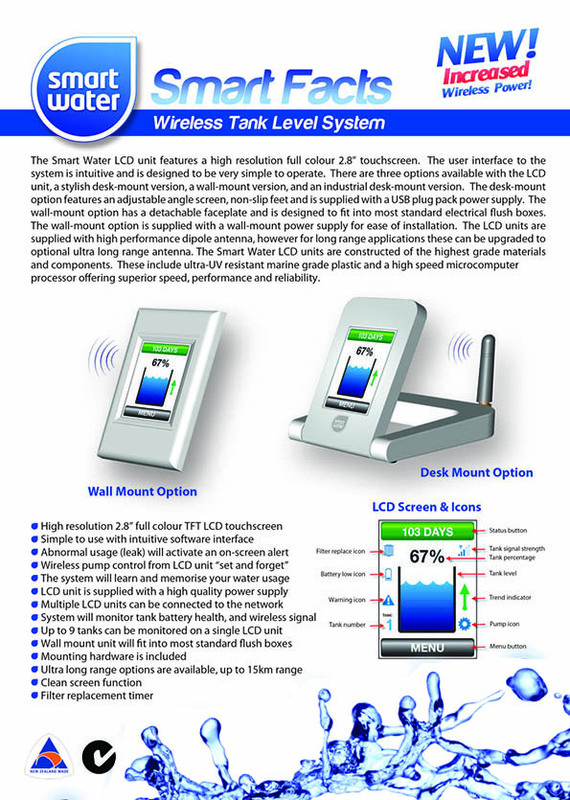 Everything you need to install a 2-Tank Smart Water desk mount tank level system in one convenient box. 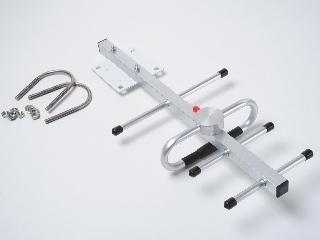 The kit includes a desk mount LCD, two wireless tank units, standard antenna, two 4 m stainless steel sensors, mounting accessories and a comprehensive user guide. This kit is designed for users with TWO tanks (up to 7 additional tank units can be added later). 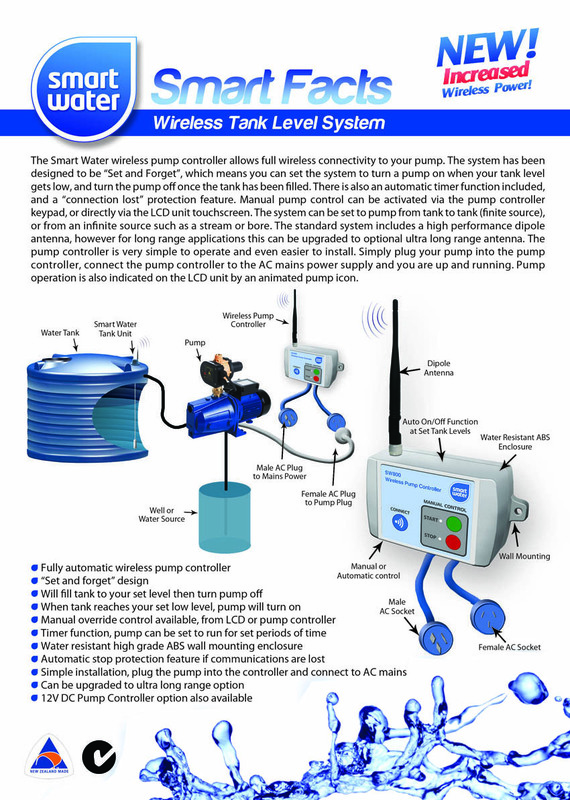 Everything you need to install a 2-Tank Smart Water wall mount tank level system in one convenient box. 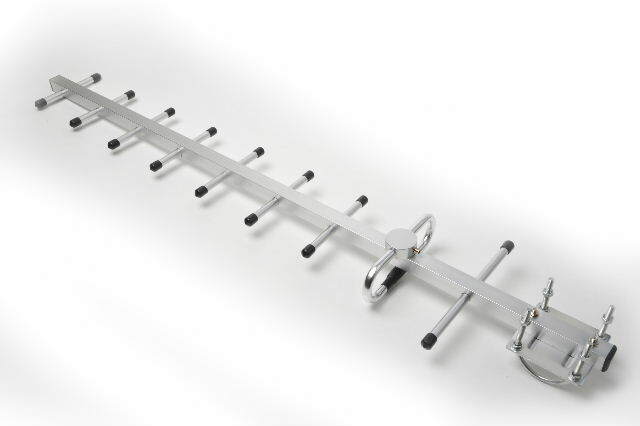 The kit includes a wall mount LCD, two wireless tank units, standard antenna, two 4 m stainless steel sensors, mounting accessories and a comprehensive user guide. This kit is designed for users with TWO tanks (up to 7 additional tank units can be added later). Tank unit only kit. 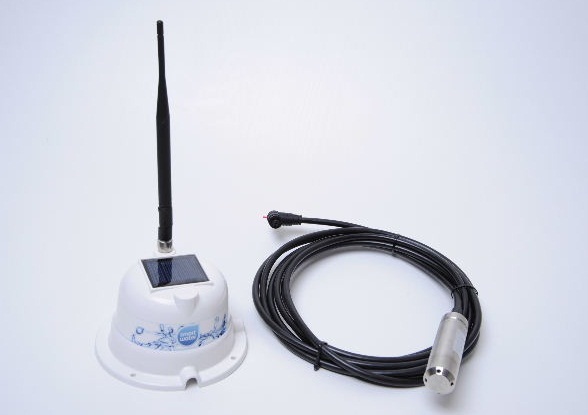 This product includes an AC and battery powered, solar charged tank unit and antenna. 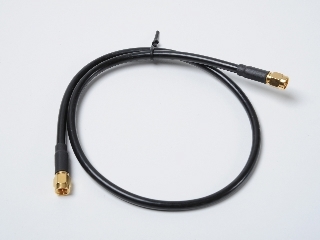 There is no sensor supplied in the kit, and no mounting accessories. 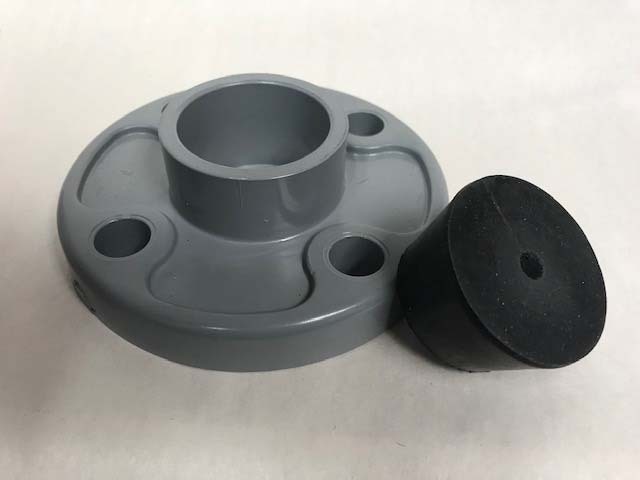 PVC 4-Hole Flange and Split Rubber Cord Grip make theTank Unit installation easier and more secure on your tank. Holds sensor wire and sensor in place securely and properly sealed. 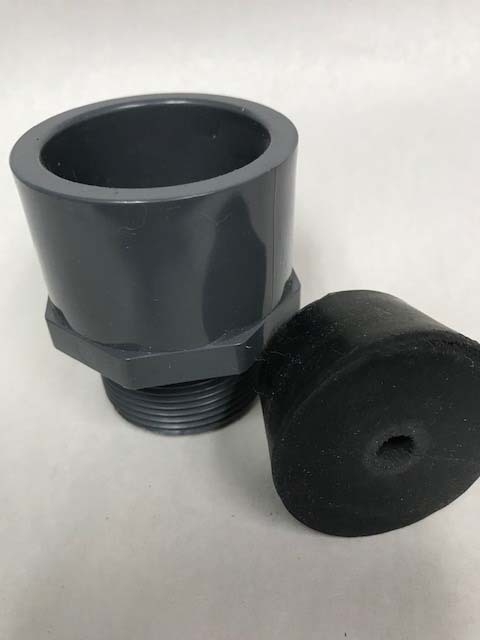 PVC 1 1/4" Threaded Socket Male Adapter with Split Rubber Cord Grip make theTank Unit installation easier and more secure on your tank. Holds sensor wire and sensor in place securely and properly sealed.